Katniss is back and District 13 has her. If you don’t know what that sentence means, then you’ve been avoiding a worldwide phenomenon. Just to quickly fill you in: Katniss Everdeen is the heroine of Suzanne Collins’ Hunger Games trilogy of fantasy tales, which has sold over 50 million copies in the U.S. alone—more than all seven of the Harry Potter books. The novels have inspired two of the biggest box-office hits of all times, starring a cast led by Jennifer Lawrence as Katniss accompanied by such admired thespians as Julianne Moore, Philip Seymour Hoffman, Woody Harrelson, Elizabeth Banks, Jeffrey Wright and Canada’s own Donald Sutherland as the wily, evil President Snow. Collins’ stories are set in that all-too-familiar dystopian future when a sophisticated but morally debauched Capitol ruthlessly exploits its 12 Districts, plundering the “provinces” of its natural resources, while entertaining its citizens with annual televised match-to-the-death “Hunger Games” between athletic teenagers. Katniss won a Hunger Games but offended the Capitol’s dictator President Coriolanus Snow by saving Peeta, another teen from her district. The two claim to be in love but it’s unclear whether that isn’t a ploy to ensure their safety. 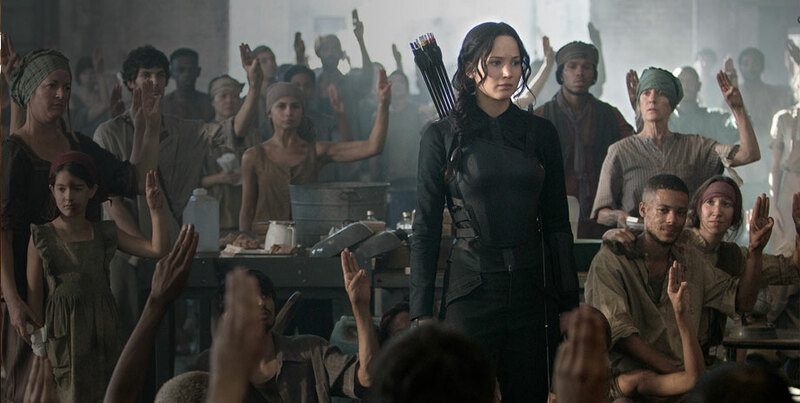 Meanwhile, the districts use Katniss’ subversion of the Games’ rules to start a rebellion. 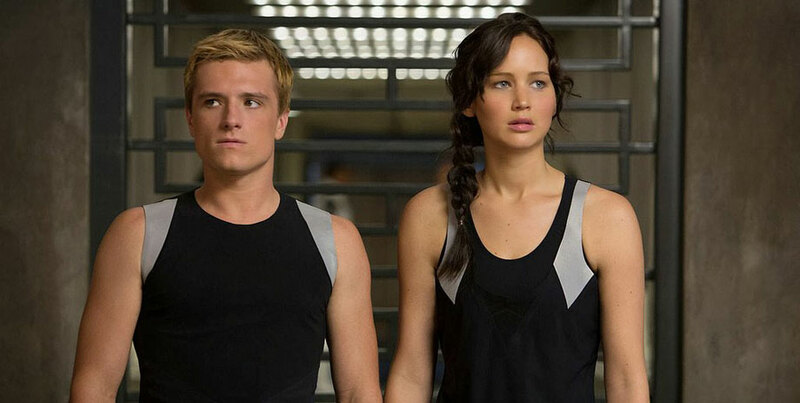 By the end of Catching Fire, the second book in the trilogy, many Districts are in open revolt. 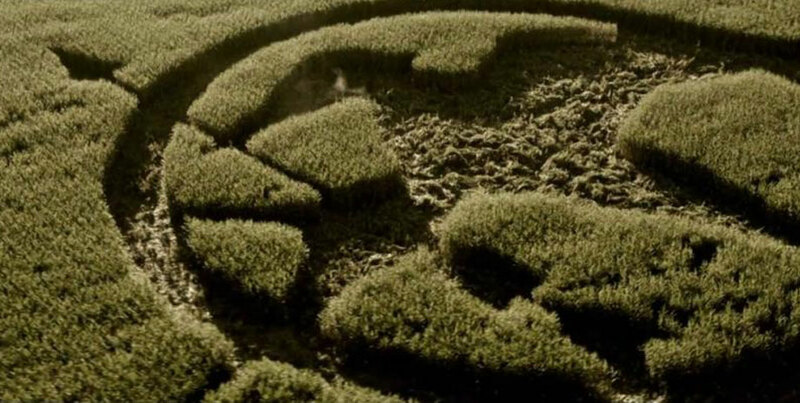 A devastating Games staged among past winners has gone wrong, destroying District 12 and leaving Katniss and several friends alive in the legendary outlier District 13 while Peeta and a couple of others “tributes” (gladiators) have been made captives of the Capitol. Then, you’re ready for Mockingjay, the final installment of the trilogy. The Hobbit and Harry Potter films have shown the way to get more capital—spending dollars—out of the public: divide the final book into two films. So what we’ve got is Mockingjay Part 1. We won’t see Part 2 for another year. What happens in half a book? 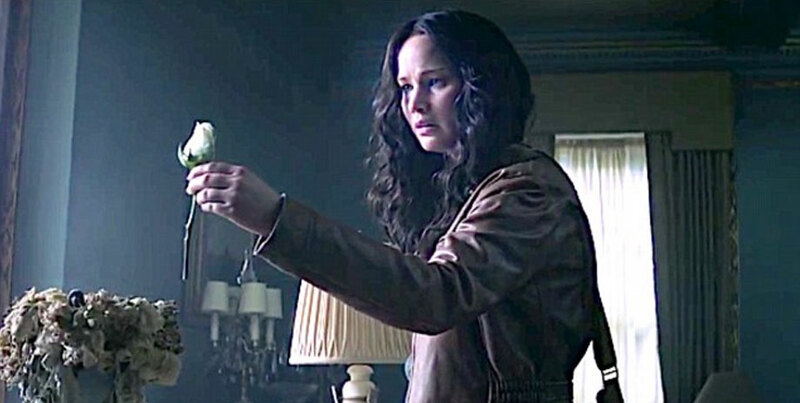 Bombing attacks, raids, anxiety, propaganda, some character development for Katniss and, basically, a lot of build-up to the inevitable war between the Capitol and the Districts led by #13. The Hunger Games: Mockingjay Part 1 is a strange film. It feels like a blockbuster with massive special effects, lots of devastation and a cast of thousands. From a narrative perspective, though, not much happens in terms of warfare. What does occur is surprisingly subtle and intriguing. Katniss is not pleased about her role as a propaganda tool for District 13 but she wants to save Peeta and her other friends who have been captured by Snow’s Capitol Forces. In one of the few funny scenes in the film, Lawrence’s Katniss is directed by the usually genial but now frantic Philip Seymour Hoffman (Plutarch Heavensbee) as she fluffs her angry rebel lines to a video team assigned to capture her “spontaneous” battle cry. When she does try to save the wounded in a hospital, Katniss is brave but her actions are futile against the massive forces against her. Mainly, Katniss spends most of the movie hoping to save Peeta before the revolt goes into full swing. Supporting her throughout is her old District 12 friend Gale, who probably should be her boyfriend. But, then, love is never smooth, is it? Most critics are praising Mockingjay Part 1 and audiences will surely continue to support The Hunger Games’ franchise. And I can see why: the acting is excellent and the design of the film is fine. Mockingjay Part 1 may be a bit of a cheat—surely a follow-up Part 2 wasn’t needed—but people will be entertained and some may be intrigued by a story in which the protagonist is being manipulated from the beginning to the (half) end by forces that may turn out to be the true villains in this trilogy and a half.